Bicheno's Ocean View Retreat is supremely situated in a commanding position overlooking Diamond Island and the pristine white sands of Tasmania's east coast beaches, the panoramic views from these luxury suites or self-contained units are stunning! Choose from our self-contained units, accommodating up to six people in either a Family Unit, B&B Suite or try our Deluxe Spa Suite - something to suit everyone! We have an extensive library of books and video's for hire. What a great way to de-stress, listening to the ocean sounds! 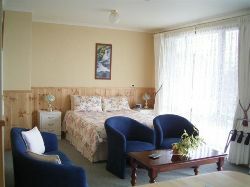 Please note that 2 nights minimum stays are applied from 25 Dec 2010 to 15 Jan 2011. You will see the availabilities during this period if you search for more than 2 nights. Homely unit with outstanding views of MacLean Bay and Diamond Island from lounge. 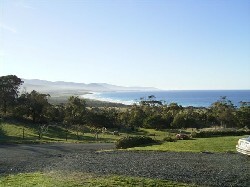 Miles of secluded beaches 5 minutes walk from unit. BBQ area with extensive gardens to enjoy. Queen bed is in lounge/dining area and 2 single beds in separate bedroom. The price displayed for this unit is for 2 guests only. Additional guests are $30.00 per person, per night. The price displayed for this unit is for 4 guests. 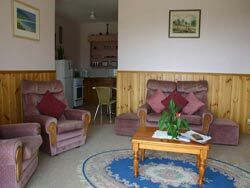 The largest of the self-catering units and sleeps up to 8 people. It has a 'home from home' feel with 2 large bedrooms, 1 bathroom with bath and a separate shower, laundry and fully equiped kitchen. Very spacious unit with outstanding views of MacLean Bay and Diamond Island from lounge, bedroom and large balcony. 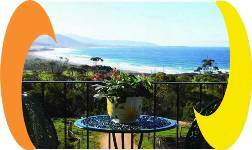 You will experience, arguably, the best views in the Bicheno area with miles of beautiful beaches 5 minutes’ walk from the accommodation. Free parking and BBQ facilites outside the front door. The price displayed for this unit is for two guests only. Additional guests are $30.00 per person, per night. Please see the options below if you have more than 5 guests. The price displayed for this unit is for two guests only. Additional guests are $30.00 per person, per night. Please see the options below if you have more than 2 guests. The price displayed for this unit is for 7 guests. The price displayed for this unit is for two guests only. Additional guests are $30.00 per person, per night. Please see the options below if you have more than 3 guests. Modern B+B Room with large Spa Suite. Waken up to the outstanding views of MacLean Bay and Diamond Island. You will experience, arguably, the best views in the Bicheno area with miles of beautiful beaches 5 minutes’ walk from the accommodation. 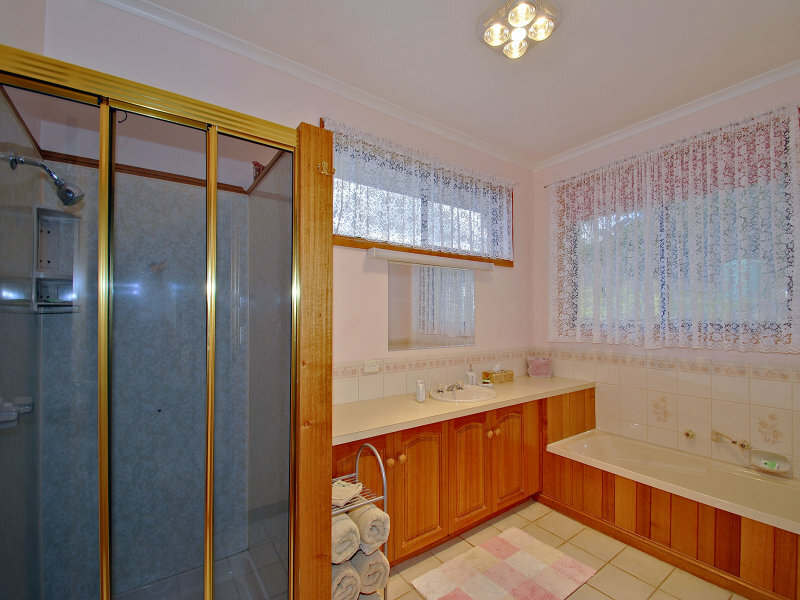 Homely unit with outstanding views of MacLean Bay and Diamond Island from lounge and bedroom. You will experience, arguably, the best views in the Bicheno area with miles of beautiful beaches 5 minutes’ walk from the accommodation. BBQ outside unit with grassed area with picnic table. 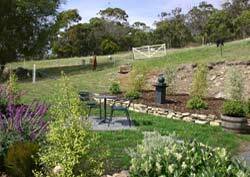 Extensive gardens to enjoy. Free off road parking. Cozy apartment has no oven but does have toaster oven, microwave and electric skillet. Outstanding views of MacLean Bay from Courtyard outside. 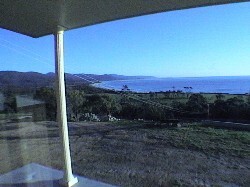 Miles of secluded beaches 5 minutes walk from unit. BBQ facility and courtyard area with extensive gardens to enjoy. Free off road parking. Breakfast can be an optionional extra. There is no direct view of the ocean from inside this unit. The price displayed for this unit is for 2 guests only. Additional guests are $30.00 per person, per night. Please see the options below if you have more than 2 guests. The largest of the self-catering units and sleeps up to 7 people. It has a 'home from home' feel with 2 large bedrooms, 1 bathroom with bath and a separate shower, laundry and fully equiped kitchen. The price displayed for this unit is for two guests only. Additional guests are $30.00 per person, per night. Please see the options below if you have more than 2 guests. The price displayed for this unit is for two guests only. Additional guests are $30.00 per person, per night. Please see the options below if you have more than 4 guests. The price displayed for this unit is for 2 guests only. Additional guests are $30.00 per person, per night. Please see the options below if you have more than 3 guests. The price displayed for this unit is for two guests only. Additional guests are $30.00 per person, per night. Please see the options below if you have more than 6 guests.